A rare sea atlas which has been fully restored, comprising of 40 pages of text incorporating 100 individual of seacoast profiles and 15 folded charts of various dimensions. This 1769 edition is not noted. 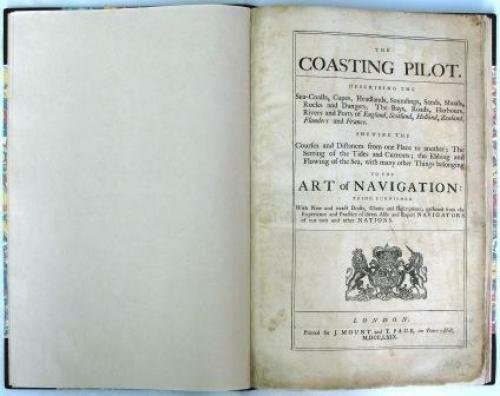 We could find only one other 1769 edition at the National Maritime Museum, Greenwich. (copy & paste the above line into your browser).